What is your problem with Shia doctrines? Q&A You are Ahlul Bayt, they love ahlul bayt, so why don’t you love Shia, what is your view about them? 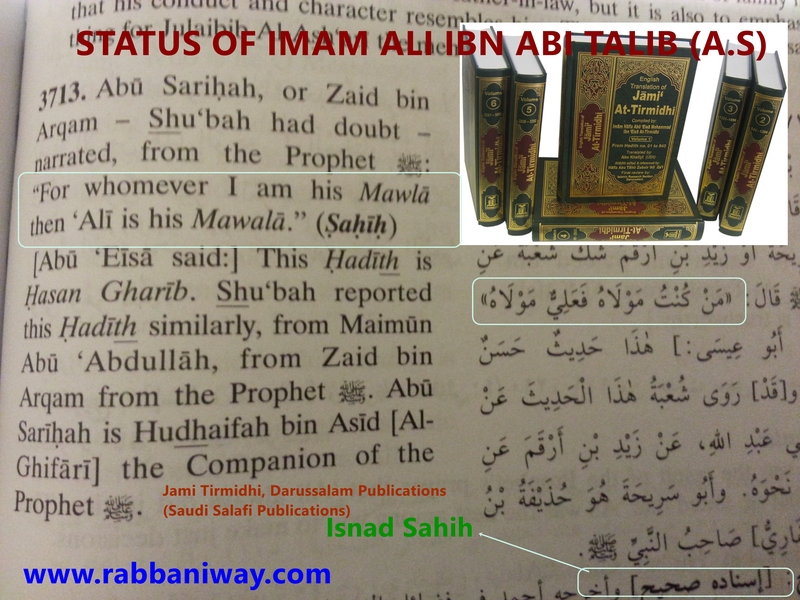 The Word ‘Ahlul bayt’ no where defined as being a lover of Shia, or you must love Shia, who claim they love Ahlul bayt. Shia methodology of the “love” of a party is wrong, as it is originated from hatred to another party (the companions)!. Shia do not love all Ahlul Bayt, they love only some cherry picked ahlul bayt! I do love Muslims and children of Adam, but I do not love nor accept certain titles, doctrines and attributes people put up on themselves as an individual or organisation, whether it is Sunni, Shia, Sufi ,salafi or people of other religions! As the Shia world do not accept Sunni narrated Hadiths, I would like highlight how Shia clerics contradict the Quran and their own doctrines, and therefore their religion is vain, like the spider’s net (See Sura Al Ankabut) or the house built in the sands by a riverside! I am not an “Aalim” (scholar of Islam) nor Imam (religious leader), we are ahlu Tasawwuf (people of the spiritual fellowship (see quran 4:69). Therefore, our answers are not from research or book knowledge learned from a third party institution!. But it is a spiritual inspiration descended in our hearts that is passed down through our Masters in the Naqshbandi Sufi Order, So our answers may not necessarily be same as those Sunni scholars or other established Shaykhs!. We are geographically not established, rather we are a moving Caravan, like the stars in the sky, that move in it’s orbit for an appointed time, and our light is not our own, but a reflection of the Light that is reflected from the Divine Presence as Our Master Nabi Muhammad alaihiswalathu wa salam, through the Masters in the Naqshbandi Order. This light and the wisdom, your made in china papers and inks cannot transmit, that is stale knowledge, dead knowledge, the knowledge of the Soul is living and continuing to distinguish truth and falsehood. Book knowledge, that both guided and misguided carrying in the same amount! So let’s come back to the Shia Problem! Quran 17:23 And your Lord has decreed that you worship none but Him. And that you be dutiful to your parents. If one of them or both of them attain old age in your life, say not to them a word of disrespect, nor shout at them but address them in terms of honour. The Quran states that, A believer must love and respect their father and mother and should not use abusive words to them at any circumstances! Quran 33:6 The Prophet is closer to the Believers than their own selves, and his wives are their mothers. Blood-relations among each other have closer personal ties, in the Decree of Allah. Than (the Brotherhood of) Believers and Muhajirs: nevertheless do ye what is just to your closest friends: such is the writing in the Decree (of Allah). We can see that the status of Prophet Muhammad (alaihiswalathu wa salam) and His Wives are more important to the believers than their own self! But Shia disrespectand slander Sayyida Ayesha (Peace be upon her) the Wife of the Holy Prophet (alaihiswalathu wa salam),the mother of the Believers! Throughout the Sura An-Noor , Allah Subhana wa Ta’ala elevate the status of Sayyidna Ayesha (R.A) and destroys the followers of falsehood! Quran 9:40 If you do not aid the Prophet – Allah has already aided him when those who disbelieved had driven him out [of Makkah] as one of two, when they were in the cave and he said to his companion, “Do not grieve; indeed Allah is with us.” And Allah sent down his tranquillity upon him and supported him with angels you did not see and made the word of those who disbelieved the lowest, while the word of Allah – that is the highest. And Allah is Exalted in Might and Wise. Allah’s Word is Infallible, Allah Almighty calls Sayyidina Abu Bakar Siddiq (R.A) as the companion of the Prophet (alaihiswalathu wa salam), and Sayyida Ayesha (R.A) as the Mother of the Believers, and through this refutation, Allah Makes the words of those (Shias) lowest, who disbelieved in this truth about Sayyidina Abu Bakar Siddiq and Sayyida Ayesha (may Allah be well pleased with them) in Quran 9:40, Quran 17:23 and Quran 33:6, as we can see that Shia disbelieved in the “Infallible and Eternal Word” of Allah Subhana Wa Ta’ala!!! Quran 15:9 We have, without doubt, sent down the Message; and We will assuredly guard it (from corruption). Quran 41:42 Falsehood cannot approach it from before it or from behind it; [it is] a revelation from a [Lord who is] Wise and Praiseworthy. Imam Ali Ibn Abi Talib (R.A), the Infallible Imam according to Shia doctrines, gave his allegiance to Sayyidina Abu Bakar Siddiq (R.A)! Now, Shia Must be very angry with Angel Jibreel (A.S) who sent down this Revelations, that praise Sayyidina Abu Bakar Siddiq (R.A) as the Companion of the Prophet (alaihiswalathu wa salam) and Sayyida Ayesha (R.A) as the Mother of the Believers!, In that case the verse quoted below also pointed to Shia! Quran 2:98 : Whoever is an enemy to Allah and His angels and His messengers and Gabriel and Michael – then indeed, Allah is an enemy to the disbelievers. This is is enough proof for those who seek the truth, so follow the truth and truth shall set you free! Representative of the Naqshbandi Haqqani Osmani Tariqah , India. THE END OF SHIA-SUNNI IDEOLOGICAL CONFLICT AND SECTARIANISM! In the name of Allah, I begin here to write this most difficult topic. I am asking Allah’s forgiveness and the forgiveness of all Prophets and Saints whom I mention here in this post. I ask forgiveness for if I use any words or cause any error unintentionally. By writing this post,I intent the unity of Muslims,the Happiness of Allah and Prophet alaihiswalathu wa salam on me. This is an open writing to the blog, it’s interactive post, not an article style. Now your problem is whether Imam Ali (A.S) or Abu Bakar (R.A) Omar (R.A) and Usman (R.A) should be first Caliph or top leader/superior ! Shia is wrong when they say Ali must be first Caliph. Now the question is, for how many Prophet alaihiswalathu wa salam is “Mawla”? As Sunnis and Shia agree, Prophet Muhammad (s.a.w) is Imam of all Prophets, so if Prophet (s.a.w) is Mawla to all Prophets and all nations, as it happen on the judgement day, all Prophets and all nations come to Prophet Muhammad (s.a.w) and ask for intercession, is Imam Ali (a.s) also Mawla to all Prophets and all nations? I would leave sunnis and shias scholars to answer for the above question! A question here is who would then represent Prophet (s.a.w) in this world and hereafter?, Imam Ali (a.s) or other companions? Since this questions and it’s answers are not our business , but there are so many obligatory things we have to concentrate on, also Prophet alaihiswalathu wa salam did not tell anyone to make sectarianism on his companions and family, a large group is mislead by Satan! After Prophet (s.a.w) passed away, the duty towards his family fell upon Imam Ali Ibn Abi Talib (R.A). After Prophet (s.a.w), beloved daughter of Prophet (saw) and wife of Imam Ali (A.S), Hazret Fatima Zahra (RA) passed away and Imam Ali in the time of his grieve, he had to look after two sons and the rest of the relatives of family of the Prophet (s.a.w), and it was not the time for him to take over the Caliphate, as I quoted Sura Aal Imran verse: 3:26 It was Allah’s decree how the Caliphate was established. Everything is based on ALLAH’s Majestic decree, Shia rejecting “Malik Al Mulk” and have not yet completed their faith in ALLAH Subhana Wa Ta’ala. 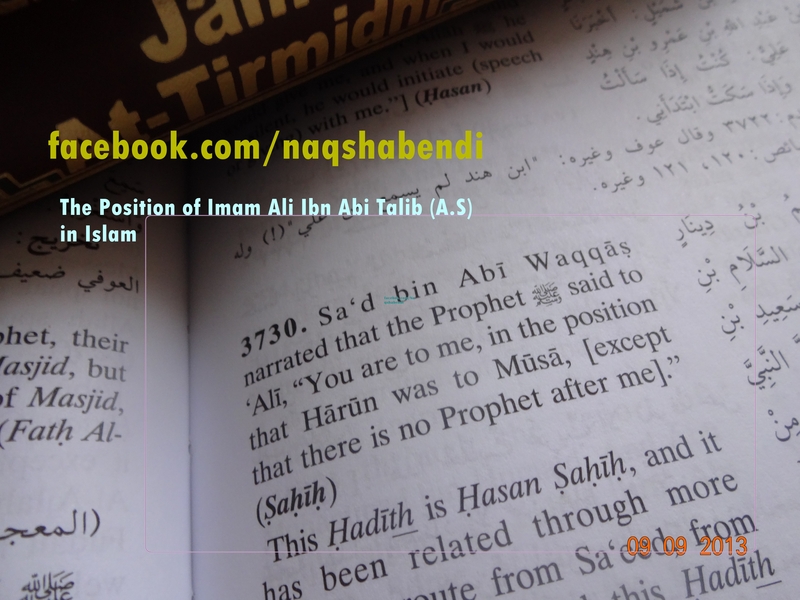 Can Shia or anyone else be better than Imam Ali (R.A) in knowledge?, of course never! Ali (R.A) had his knowledge, and he followed his knowledge, but others who disagreed in the knowledge were in clear error! Same kind of narrations can be found in Sahih Muslims. So, now I ask Shia, if Imam Ali (R.A) is superior , does that mean that Imam Ali (R.A) is excluded from following other Companions? Prophet (s.a.w) ordered you all to read Sura Al Kahf, because you are making fitnah and lies against Ahlul Bayth and Companions! Does Sunni say, because Imam Ali (R.A) in the fourth position of Caliphate his superiority is fourth in the line? But Prophet (s.a.w) says: I am the Prophet when Adam was between clay and water. Come on people, wake up and use your intelligence, if you have one! But Allah says: Sura 3:33 Indeed, Allah chose Adam and Noah and the family of Abraham and the family of ‘Imran over the worlds. So now, you people are going to fight with ALLAH Subhana Wa Ta’a for choosing Adam, Noah and the family of Abraham and family of Imran (Peace be upon them) over the worlds? Or the verse above is a fabricated verse?, I am asking to Sunni and Shia, bring your Quran let’s look into it! Allah says in Quran 3:34 Descendants, some of them from others. And Allah is Hearing and Knowing. Why shia is so stubborn? There will be no Shia’ism in the time of Nabi Isa A.S when he comes back!,Because Shia’ism follow only 12 Imams or particular Imam of ahlul Bayth of Nabi (A.S). So Shia must prepare to perish with their ideology when Isa Ibn Maryam comes down from heavens! Wahhaniya also will perish!, because they follow only Quran and Hadith, do not follow Imams. When Imam Mahdi comes, they will perish!, because following Imams is not a part of Wahhabism! So when Isa alaihissalm and Mahdi A.S comes , Wahhabis /salafis will perish, because Imam Mahdi and Isa alaihissalam are not from the salafu salih generations! false groups will perish in the near future when the Haqq comes! Because Shia restrict following other Imams and Prophets, but they say they are following only Imam Ali Hazret Fatima and their two son and the line of 12 Imams! And you are bringing other Hadiths to argue with this, or saying something that I may cross now! So, is the Ok with Sunnis? Are Sunnis and Shia and others making distinction/no distinction between any of his messengers? Check your heart and deeds, are you making distinction between Prophet Muhammad and other prophets (peace and blessings of Allah be upon them)? If you are not making any distinction, then I would have heard Muslims speaking more about Jesus Christ (A.S), than Christians, who is coming to this nation in the future. Are we celebrating Mawlid of our Prophet and Uroos of our Saints and not really giving much importance to other Prophets and Saints, even to Sahabis? We make large gathering when some Awliya Allah’s anniversary, did we see anything about Imams of ahlul bayth or sahaba or even remembering the first martyrs of Islam? So, Imam Ali (R.A) coming fourth in Caliphate making him inferior (less superior) to the first three? So, you are saying Prophet Muhammad (s.aw) coming as last Prophet (s.a.w) make him less than the previous Prophets?, Of course no, because your understanding is wrong here. There are so many hidden knowledge that is hidden by Awliya Allah, because your heart cannot comprehend that! Because you are not even busy with things that is concern about you, your sins and purifying your heart! Sunni Muslims as well as Shia giving much superiority and more respect to our beloved Prophet (s.a.w) as I do, or better than I do. Does Muslims, both sunni and shiia Obeying, what Prophet (saw) said in the above Hadith? If you are not obeying Prophet (s.a.w) completely in certain matter, then why you fighting and splitting into sects, just because someone not following what you follow and you are not following what others following?! or Sunnis, who reject the Superiority of Imam Ali (R.A) agree that the above hadith is fabricated?, as Sunnis and Shias give superiority to our beloved Prophet (saw) over other Prophets! Today even there are sufi shaykhs mureeds and sufi groups fell into this trap of sectarianism and weighing the rank of certain shaykhs and saints! Some Shaykhs even claiming I am family of this shaykh , this Prophet, this sahabi, so I am a superior Khalifa, I am a son in law of this shaykh, so sons are more closer than the other khalifa! Adam A.S and Noah A.S also had a disobedient son, I would like to remind them! What I want you to do is: agree that you all have fallen shortage in fulfilling the command of Allah and command of Prophet (s.a.w), then why you taking others faults or shortcomings or even approve matters for sectarianism and violence? Yes, Mahdi and Jesus (Peace be upon them) son of Mary (Peace be upon her) is coming, coming to stop your sunni shia drama and fitnah! I know many Sunnis and Shia, who make big salute and salawat on our Prophet and ahlul bayt (peace be up on them), and at the same time sitting like dead corpse when the name of other Prophets are mentioned!, violating 2:285 and above Hadith in Bukhari! So when we see Sahih Bukhari hadith: “Do not give me superiority over Moses”?, does that mean that Prophet (s.a.w) is not superior to all other Prophets? Does that mean that they all are equal in rank?, No! So when Imam Ali (R.A) say: when asked who is best?, he said: Abu Bakar, then Omar, then Osman…. It does not give anyone license to categorize sahaba! Imam Ali’s words are indeed, infallible! The Same Prophet Musa A.S whom our Beloved Prophet (s.a.w) mention as standing holding the pillar of the Divine Throne ,”Moses” (A.S) did not claim superiority when he met Khidr (A.S), though he was patience and had over excitement what Khidr A.S will do with him! This is why we say, when you play with things that are not concern about you, you are misguided! Those who strictly follow Awliya Allah, they do not fight over this issues nor even speak about it, except to stop this speakings! Only those Shia and Wahhabi type Sunni who succeed Kharij, fight over things that are not fard or wajib on them! So when you take Hadith about Imam Ali and other Companions in outward meaning, you then reject the spiritual ranks and status of Imam Ali and other companions. So, if you are following everything as the text says: you make big mistakes, as you do not celebrate the milad of other Prophets nor salute other Prophets! When Isa A.S returns , he will pray behind Imam Mahdi (a.s) and Imam Mahdi (A.S) is going to be the Imam, so will Sunni say: Imam Mahdi is superior to Isa A.S because he is Imam in this nation before Isa A.S and Isa Ibn Maryam prayed behind him (mahdi)? Islamic Spirituality and Mulk and Amr (authority) do not revolve based on your book Usool (written methodology), that only help you study and apply in the worldly ground! So you must stop Shia Sunni fitnah and surrender to the truth! 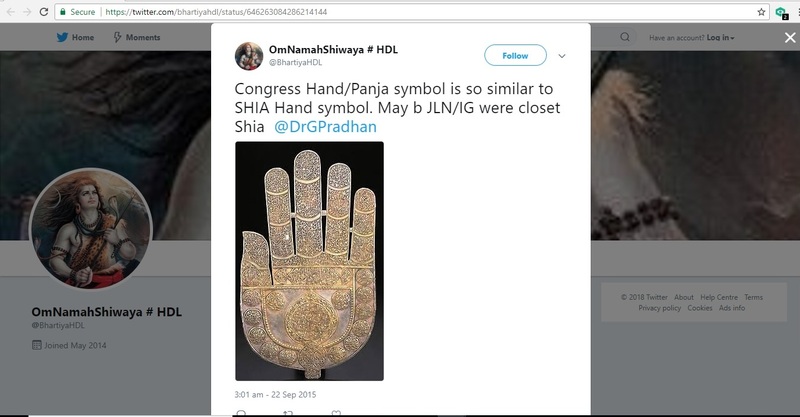 Shia pretend Sunnis (traditional) do not love and follow ahlul bayt, if Shia have intelligent mind, then make a search, all Sunni-sufi schools are originated from the line of 12 Imams, especially from the first 7 Imams! Shia think Sunnis oppressed Ahlul Bayth and Imams, which is wrong, even the Caliphate that came after Imam Hussain (A.S) did a lot harm to other companions too!, look at how the Imams of four madhab died, that time you will wake up a true wake up! If my father before he pass away, made me to look after our children and family members and told his close friends to take care the business and needs of neighbors and servants, does that mean I am inferior and/or the friends of my father inferior? What that has to do with some outside people to come and interfere on my father’s decision and cause fitnah among the relatives of my father’s friends and my family and our relationship with them?, when I have no Problem with it!? Intelligent people do not make a comparison on the people involved over such a situation! If this matter I am speaking here is wrong, then dismiss that Quran verses 3:33 and 2:285 to be wrong and sahih Bukhari Hadith mentioned above regarding Musa alaihissalam, is wrong!, if you think to challenge me, then that’s what you can do! I am not a scholar or leader, this is what inspired in my heart, if I made a small error in typing and using wrong vocabulary then may Allah and his messenger (alaihiswalathu wa salam) correct me and forgive me…ameen. I am taking from that source which is in heavens. I am not responsible for you nor you are not responsible on me. If you wish good for yourself, then accept the Truth or do as your ego please! Allah is my witness for what I have written.